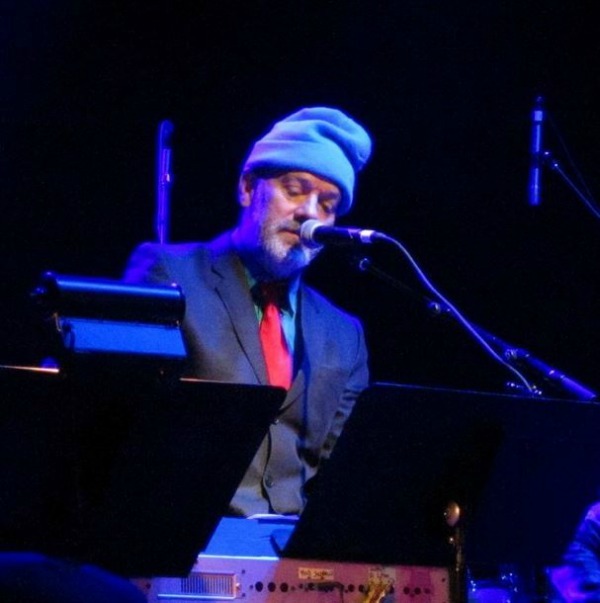 Performing on keyboards and joined by two other musicians, Stipe performed R.E.M.’s “Saturn Return” and “New Test Leper,” plus covers of Vic Chesnutt’s “Lucinda Williams,” Smith’s own “Wing,” Perfume Genius’ “Hood” and the aforementioned “New York, New York,” popularized by Liza Minelli and Frank Sinatra. Below, check out the setlist, plus audio and video of Stipe’s performance. We’ll add more as it surfaces. In the years since R.E.M.’s breakup, Stipe has performed sporadically, most recently at Peter Buck’s wedding in 2013 and with Coldplay’s Chris Martin at the 12-12-12: The Concert for Sandy Relief. Smith — perhaps with Stipe in tow once again — also is slated to perform Tuesday night at Webster Hall. Billy Joel sounds pretty good. Pretty good impression of Stipe from the Travelocity gnome, eh? Gnome? Billy Joel? The camera operator, that’s Sally from Queens, iPhone 4. The sack-of-dicks have started their drinking early. I’m not a big REM girl, but it looks like it was a great show for fans. What a fun surprise. Oh lighten up. With the beard and the beanie, J.M. looks very gnomelike. Failing that, one of the Seven Dwarves. Maybe The Eighth Dwarf: Mumbles.